As the old saying goes, practice makes perfect. Whether you’ve got an important dinner party approaching and want to time how long the food will take, you’re a budding athlete trying to beat that personal best or you’re preparing for that big speech, Treble Timer V1 makes practice easy. The app allows you to your record and time yourself with whatever you need to rehearse. The key factor that separates this app from other time keeping apps are the video features, the option to save your entries, and the chance to share your work on different social media. Although if you are preparing for a speech, maybe keep that one to yourself. So, the dinner party is next weekend; it’s essential that everything goes smoothly as Rob and Jean from next door (who have been out-doing you on the dinner party front for years) are attending. You know what to do, set up Treble Timer V1 and practice timing those three courses to perfection! Rob and Jean won’t know what’s hit them! The key to getting fit is endless training; it may seem tough at times, but Treble Timer V1 gives you real incentives to hit your targets. 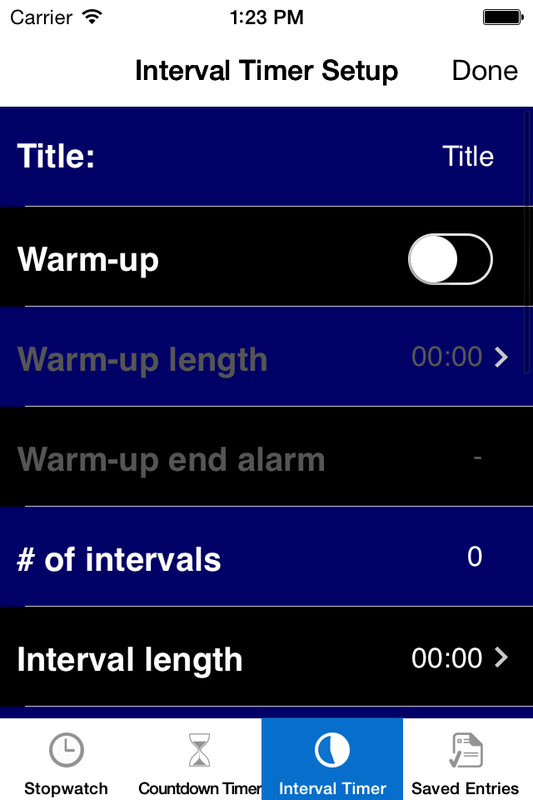 With the Interval Timer Setup tab, you can set a warm up timer, interval timer, resting timer and a cool down timer. These settings will really help you plan out your fitness regime! When preparing for a speech, formal or informal, you can never practice enough. Treble Timer V1 will help ease your nerves by letting you time and record your big talk. You can ensure you’re not overrunning on time and make sure you look your best. Race over to the App Store and give this app a whirl.